Would you like people to say this about your big dog one day? Would you like to be able to bring your big dog anywhere with you without having to worry about who or what you will run into? Would you like to not have to think about avoiding certain people or places in effort to not set off or scare your big dog? “Bomb-proof” is a phrase you will often hear folks use to describe a certain type of temperament in a dog. These dogs are able to be put in essentially any environment and not be shaken or reactive to anything they are exposed to. These dogs can walk next to a busy street, go into a crowd of people, children or other dogs, and go new places and meet new people with ease. As a new or existing big dog owner, it is your responsibility to adequately socialize your dog so that he/she doesn’t present a danger to others around you. 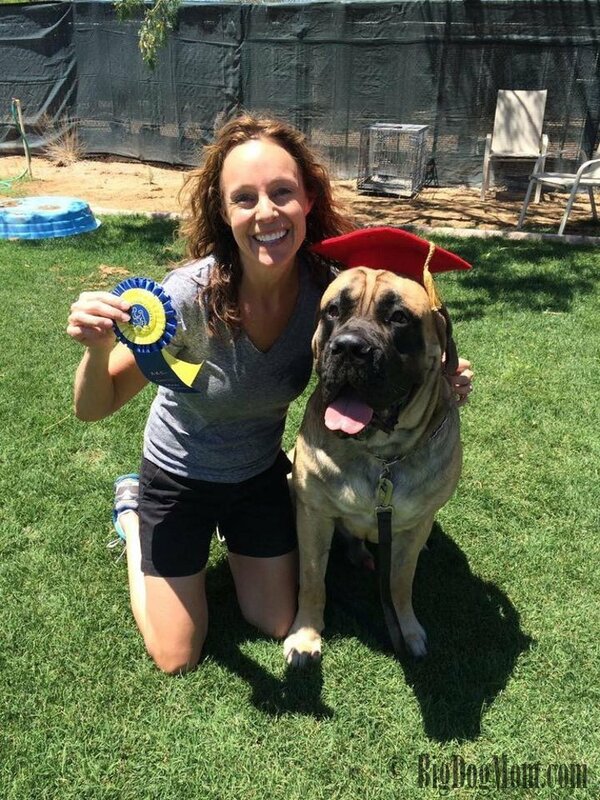 I have seen firsthand the best and the worst in mastiff temperament, and I can tell you, a mastiff with a bad temperament can be a frightening experience. And, believe it or not, I have met some Labradors and greyhounds that I would not describe as sweet, much less “bomb-proof,” most likely due to a lack of socialization during their first 16 weeks. So, how can you create the “bomb-proof” big dog I referred to earlier? I can tell you what I have done with Sulley and what I am doing with Junior in order to ensure they are always welcome when we go on vacation. Puppies go through several stages of development and each one affords both you and your puppy’s breeder an opportunity to positively impact your puppy’s temperament. Starting at about 21 to 28 days, puppies are able to see and hear and, as such, are taking everything in around them and learning all the time. You are likely going to bring your new puppy home between the ages of 8-12 weeks old, preferably between 10-12 weeks. It is from this time until 16 weeks that present the absolute best time to positively introduce your puppy to new people, animals and situations that you would like him to accept as a mature big dog. Up until 16 weeks (four months) your puppy’s brain is very open and accepting of what he comes across. 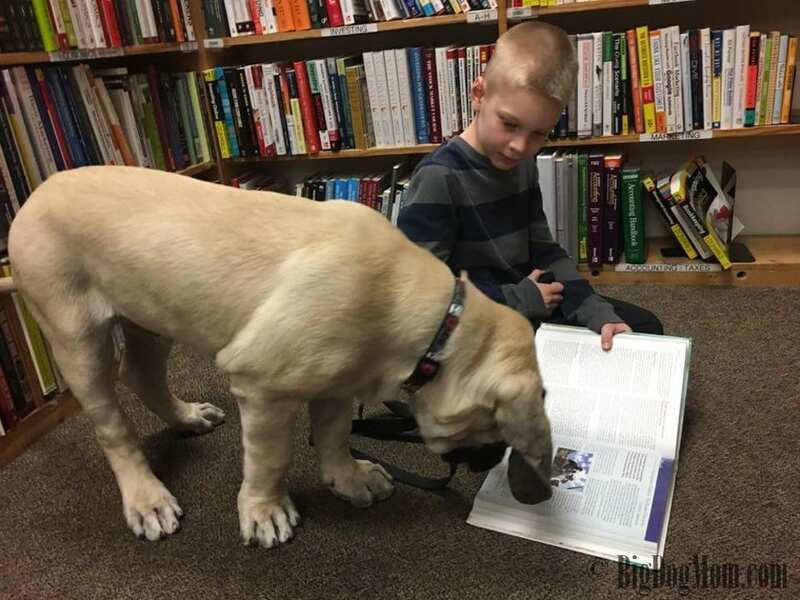 After 16 weeks, your puppy is genetically pre-programmed to become wary of unfamiliar things and that makes it much harder to shape him into an easy-going, friendly… “bomb-proof” big dog. While this period is the optimal window for socialization, please keep in mind that puppies go through a fear period between 8-10 weeks old and several more times as they mature. During these periods, you will want to be very careful as one single negative experience can have a lasting effect. Read all about puppy fear periods in Puppy Fear Periods: The 5 Things that Can Save Your Puppy! Some say 100 experiences in 100 days. I focused on getting Junior and Sulley out every day for one or more new experiences and to meet one or more new people. I tried to think of every possible situation they might encounter as an adult and I wanted to give them at least one positive exposure to that before they turned 16 weeks. It made for a busy few weeks, but it was the least I could do as their Big Dog Mom! Visited Veterinarian numerous times for weight check and socialization. Separate visits to Veterinarian for wellness and immunizations. Went to the Library – hang out at entrance to meet new people. TIP: We would hit the jackpot right at school dismissal time due to the school kids waiting at the library to be picked up. Adventure to the Bookstore – Half Price Books is my go to favorite! They have biscuits behind the counter and are very dog friendly! Destroyed our budget eating out. Numerous restaurant patios are dog-friendly. We are lucky to live in Arizona where the weather is conducive most of the year to sit outside and eat. We sit close to the entrance to increase the number of people we see and speak to. Visited the Petstore – Petco, PetSmart or Pet Club. We have all three, so I rotate. Once Junior and Sulley were fully vaccinated I would allow them to walk around without having to ride in the cart. Went for MANY rides in the car. Junior and/or Sulley come with me at least twice a day. I vary who comes so that they aren’t always together. Exposed to the vacuum and dust mop. This is a critical one!! I know so many people with dogs that are afraid of the vacuum. I do some specific things to create a positive association with the vacuum, and perhaps I will write more on this later. For now, I would just say be sure to expose your puppy to the vacuum in a positive way during this window. Walked with a leash and collar. No puppy is going to be perfectly well-mannered and understand the concept of “heel” at this age, but you can absolutely start some basic obedience and leash etiquette. Dremel and nail clipper. I do both for exposure. I cut both dog’s nails 1x per week. Sometimes I will do them again throughout the week if the session didn’t go perfectly. I find sometimes I try to move too fast and I need to take a couple steps back. I believe the Dremel is the best for cutting big dog nails, so I make sure our puppies feel and hear the Dremel at an early age. Met the Postal Carrier, both in front of our house and on walks. Met kind construction workers and landscapers in our neighborhood. I consider these folks in a different category as they often wear hats, make different noises with their equipment, and smell different to a dog. Performed DNA Testing (swab in the mouth). These tests do not have to be done so early, but in my opinion there was no reason to wait and I thought it would be a good experience for Junior to go through. Attended Puppy Socialization class. These are usually wonderful opportunities for puppies to romp and play as well as meet new people. Attended Puppy Obedience class. Junior was 2 weeks into Obedience class when he turned 16 weeks to give you an idea of the timing. Got to chew on a knuckle bone, antler or other safe chew bone. I do semi-frozen knuckle bones for the exposure to something strange, yet super yummy for Junior and Sulley. For more puppy teething tips read 10 Essential Tips For Teething – A Survival Guide For New Puppy Owners. Heard and saw men with blow horns. I’m sure this one sounds strange. During dismissal at my child’s school, there are men outside using blow horns to call the names of the children whose parents are there to pick them up. They are loud and strange and certainly something important for my two dogs to not be afraid of. Saw kids on scooters, bikes, roller skates. No chasing allowed at our house, but lots of treats and fun while the wheels are out. Visited an assisted living facility. Exposure to wheelchairs, walkers, canes and all the different sights and smells are fantastic for a puppy. Met babies in strollers and wobbly toddlers. Again, they smell different, look different and behave differently than older children. Experienced drop off and pick up at school where kind adults open the door to our car. Mastiffs are guard dogs by nature, so I need Junior and Sulley to learn that I do not need them to guard my car from people passing by or opening the car door during these times. This was something that was always a struggle with Linus, so I am particularly careful when it comes to my dog’s behavior in the car. Exposure to and started to learn about climbing stairs (minimal – up and down). I keep my stairs gated so that I can control the number of times my dogs climb them. I prefer to introduce just the concept of the stairs during this window. I carry my puppies up and down until they are too heavy. Then we take the stairs slow and controlled… and limited from puppy to adulthood. Introduced to a pool or body of water. Sulley loves to swim and he gets bathed with a hose outside. Junior got his first bath outside during this window, but won’t be able to swim until the water is warm enough for me to get in. My goal was to expose them to the pool because swimming is one of the very best forms of exercise for a big dog. Bath time inside and outside in warm and cold water. Introduced to other pets, usually on walks or at the park. I would love to hear what you are doing or have done with your big dog during this window of opportunity. Share and pin this post and let me know in the comments below.